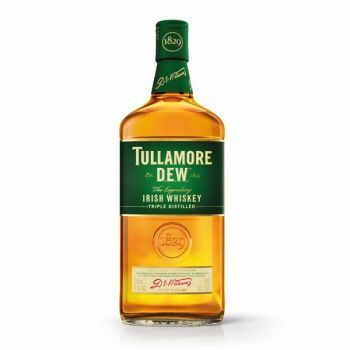 Tullamore Dew is the original triple distilled, triple blend whiskey. Known the world over for its smooth and gentle complexity. At the core of our legendary whiskey making process is the number three. We only use three natural ingredients, three varieties of grain distillations and three different types of maturation casks. Early fresh fruit leads to a definite light spike followed by some toasted wood which evolves into a delicious vanilla sweetness in this whiskey.